Orthodontist in Mullica Hill Gives Brace Patients 4 Tips! Do you daydream about the day that you’ll have your braces taken off? Just about every orthodontic patient does! To achieve the smile of your dreams, you must practice excellent oral hygiene every day. Taking care of your teeth while wearing braces may not seem like the easiest task, but it’ll be worth it! Follow these helpful tips from your orthodontist in Mullica Hill to keep your teeth healthy, strong, and beautiful throughout your straightening treatment. Brushing and flossing thoroughly—twice a day for two minutes a day—is critical to completing a successful orthodontic treatment. If you keep up good oral hygiene habits, your teeth look better than ever once your braces are removed. Here are some helpful tips to optimize your dental hygiene routine with braces. You should be brushing your teeth twice a day whether you have braces or not, but it’s especially important with when you have metal brackets and wires. Be sure to thoroughly brush for at least two minutes and reach all areas of your mouth. It’s especially important with orthodontic treatments because dental bacteria and food could be building in the crevices between your teeth, brackets, and wires. Be sure to brush your teeth for a full two minutes, and make sure you brush all sides of your teeth, including the front, side, back, and chewing surface. Be sure to focus on technique more than vigorous, abrasive brushing to avoid damaging your orthodontic treatment. 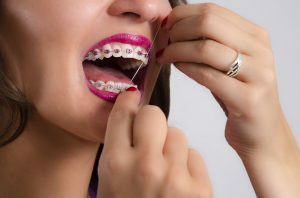 Having all those wires connecting your braces from tooth to tooth may make flossing seem even more annoying—if not seemingly impossible. The key to flossing with braces is to take the time to thoroughly floss around each tooth, making sure to get under the gum line on both sides. Try using a floss threader for braces. This tool can be helpful because it allows the dental floss to reach underneath your wires without becoming stuck or tangled. There are also many other interdental cleaners that can make this part of your dental routine easier. Try Using a Mouthwash More Often. Typically, dentists recommend an antimicrobial mouthwash for a normal dental routine. But, when you have braces, it’s especially important to make sure to rinse your mouth. You can still use the same mouthwash, or if you have a dental issue that needs a little extra support, use a mouthwash that helps improve that problem. If you have braces and need help keeping them maintained, it’s important to take the time to google search an “orthodontist near me” that help keep your straightening treatment on track. Dr. Colalillo is trained in the specialty of orthodontics, bringing true expertise to our practice. It’s important for Dr. Colalillo to stay up to date with the latest orthodontic treatments and practices, providing top-notch dental care to anyone who walks into our office. If you would like help maintaining your braces, reach out to us by dialing (856) 223-2623. 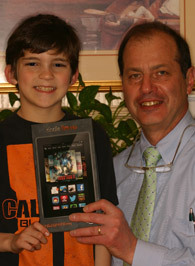 Comments Off on Orthodontist in Mullica Hill Gives Brace Patients 4 Tips!